believed this cliff was a jumping off place for the soul to enter the spirit world. Today, you can watch the daily sunset cliff diving ceremony, which reenacts the feat of King Kahekili, who bravely dove from this sacred spot, challenging the spirits. 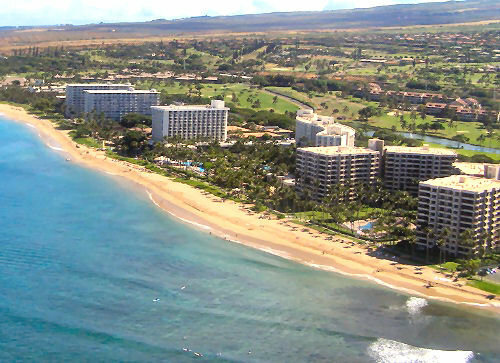 Kaanapali is located in the Old Hawaii ahupuaa (common subdivision of land) of Hanakao`o, as in the same name of the southern end of Kaanapali Beach's Hanakao`o Canoe Beach. Development of Kaanapali Beach Resort began in the 1960s, on mile-long Kāʻanapali Beach, on the western shore of Maui, a couple miles north of the old whaling town of Lahaina. 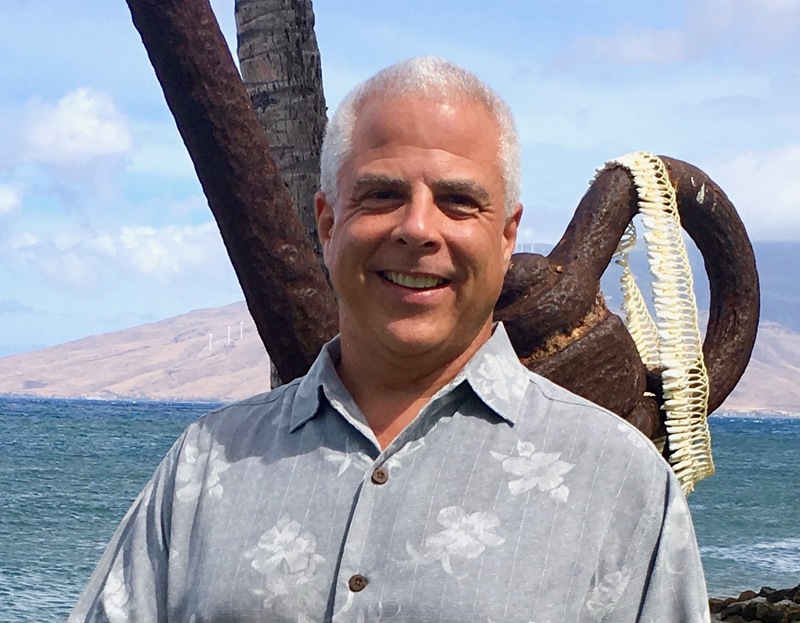 Since that time, many more hotels and condos have been built both on Kāʻanapali Beach and for several miles up and down the coast, and Lahaina has turned into a tourist shopping area. Major resort hotels now on Kāʻanapali Beach (in order from the south end closest to Lahaina to the north end) are the Hyatt Regency Maui (opened in 1980), Maui Marriott (opened 1982, now turned into timeshares), Westin (originally opened as the Maui Surf in 1971, then rebuilt as the Westin 1987), Kaanapali Beach Hotel (1964), Sheraton (1963 but completely rebuilt in 1996), Royal Lahaina (1962), and Maui Kaanapali Villas (originally a Hilton when it opened in 1963). 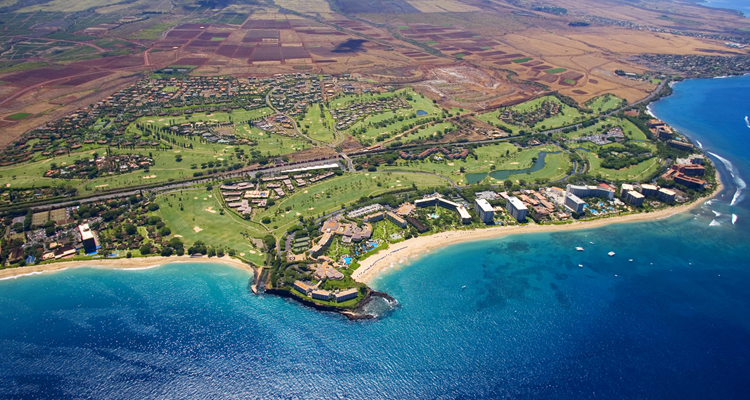 Beside the hotel resorts there are also condominium complexes on Kaanapali Beach. Toward Lahaina between the Marriott and the Westin is the Alii. Moving further north on Kaanapali beach between Whalers Village (shopping center) and The Kaanapli Beach Hotel, is The Whaler. On the north side of Kaanapali Beach (north of black rock) there are two new complexes. The Westin Ka'anapali Ocean Resort Villas is a timeshare complex, with two buildings completed and one under construction as of August 2010. The Honua Kai condominium complex is just south of the Aston Mahana condominiums (formerly ResortQuest Hawaii).